Ever heard of Fortune cookies? It is being famously referred to as ‘made by Japanese, sold by Chinese and consumed by Americans’. You must have even seen Facebook apps which would reveal your won fortune cookies. Fortune cookies are nothing but crisp flour cookie that contain sugar, essence and oil with fortune paper wrapped inside. That fortune paper is written with words of wisdom or a vague prophecy. Sometimes, the message might contain Chinese phrase with translations or list of lucky numbers. These fortune cookies are usually served as sweets dishes in Chinese restaurants. Customers would unwrap the cookies and then read the fortune written for them in paper. 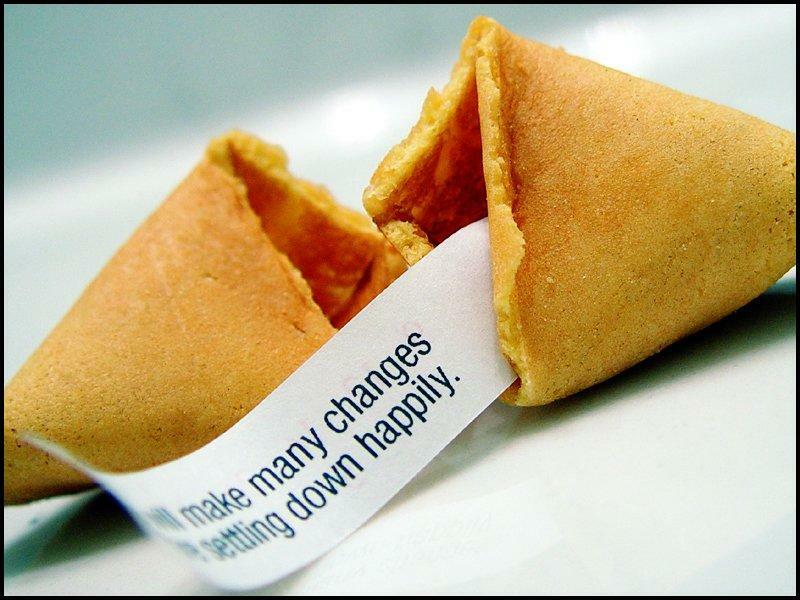 Some believe that the fortune telling by fortune cookies have worked well for them. 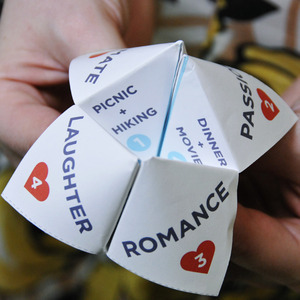 You would have played cootie catcher or chatterbox. You would have built the salt cellar for holding food. But those paper folding patterns can be used to predict your fortune too. You have to fold the papers as shown in the diagram. Then holding the paper folding in your hands by inserting fingers in the gaps, you have to shift the halves using your fingers. Based on the number or color the person says, you should shift the halves for the number of times and the fortune written in the paper that faces the person is the prediction. These steps can be repeated to suit the users. This method is called as name color fortune telling. People generally use dice for playing games. 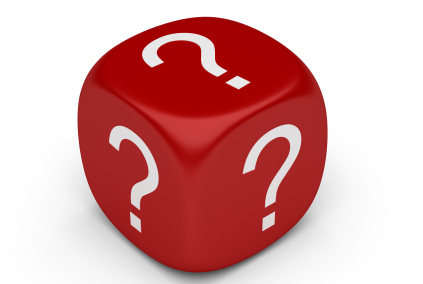 There have been mythological stories in which characters used dices to determine who might rule the kingdom. The same dice can also predict your fortune. For this, you need to have three dices. You need to cast each dice and based on the face that faces above, the past, present and future of the person can be determined. After the first dice is rolled, if you get 3, then you might need to pack your things as journey is predicted or you might receive a good message, which is then a journey of letters. If you get 5 in second dice, then there is an event of great importance that might happen in your family. If you get 1 in third dice, then you need to care of your health. 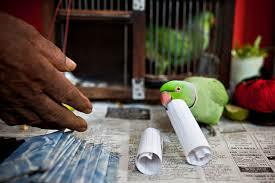 In certain parts of India, you would have seen men holding parrot in cage and have some cards outside the cage. When the person seeking the fortune tells out his name, then the reader instructs the parrot to take card for the person’s name. After the cage is opened, the parrot hops around, takes the food grain laid for it by the fortune reader. Then the parrot picks card randomly from the lot, later dropping it into reader’s hands. The reader opens the cards and based on the god/goddess that appear inside the card, the fortune of the seeker is revealed. Most of the cards have god or goddess photo pasted into it and folded. Mediterranean countries have been the birth place of many methods of fortune telling. Egyptian and Greek civilization has flourished in the countries bordering Mediterranean Sea. And both these civilization has paved way for the development of many fortune telling methods. Numerology was popularized in ancient Greece. Similarly, Northern African region has many indigenous fortune telling methods. It is believed that Italians spend a lot of their fortune in reading their fortunes.